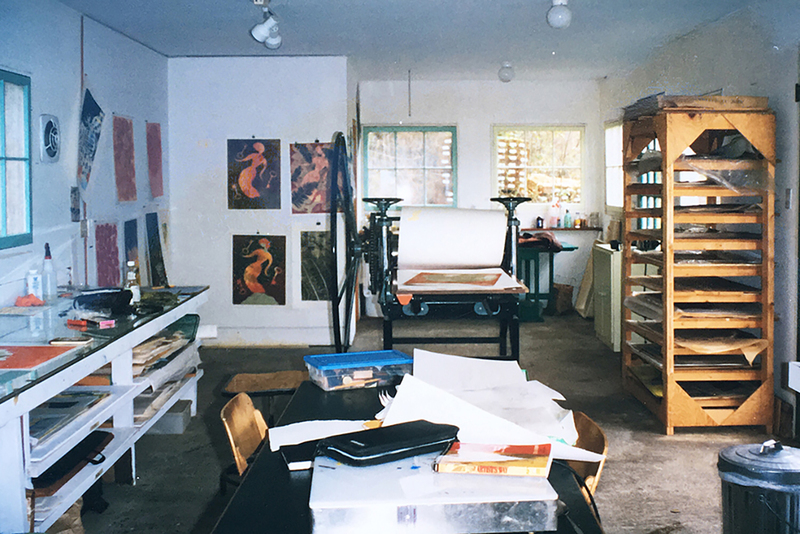 These photographs were taken of Quartermaster Press studio in about 2001, courtesy of Marian Wachter. 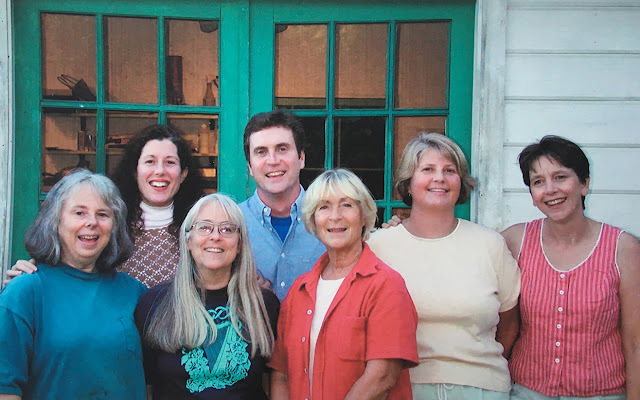 QMP studio was originally located on Quartermaster Drive and on the property of Michael Richards and Rita Brogen in what was formerly a potting shed. Valerie Willon's press made by Ray Trayle, is at center of the interior photo. Check out the scale of the wheel! Pinned to the wall are prints Marian Wachter was working on. It was a sweet place even if a bit drafty! Below are members Bonnie Wilkins, Adrienne Edmonson, Suzanna Leigh, Brian Fisher, Ilse Reimnitz, Laura Davidheiser and Marian Wachter in publicity photo for QMP.